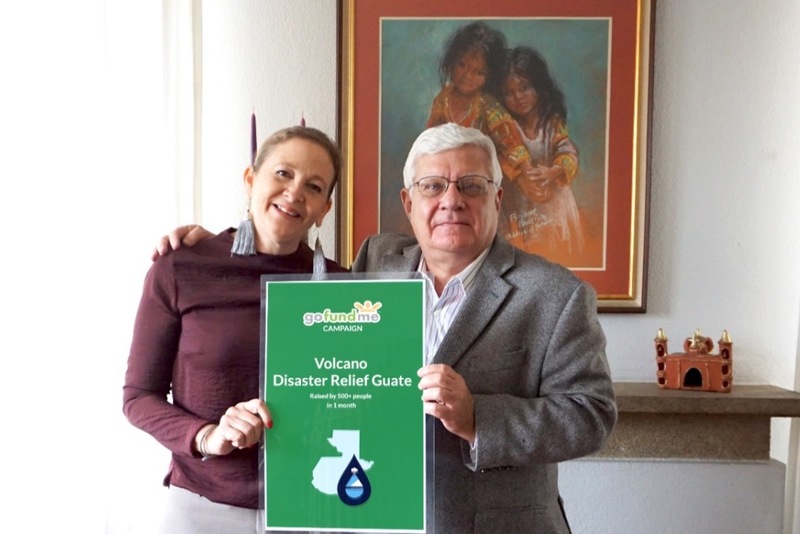 As many of you are already aware on Sunday, June 3rd Volcan de Fuego erupted in my home country of Guatemala. It is a devastating situation. Lives were lost in an instant, the death toll continues to rise and surviving victims are being assessed. 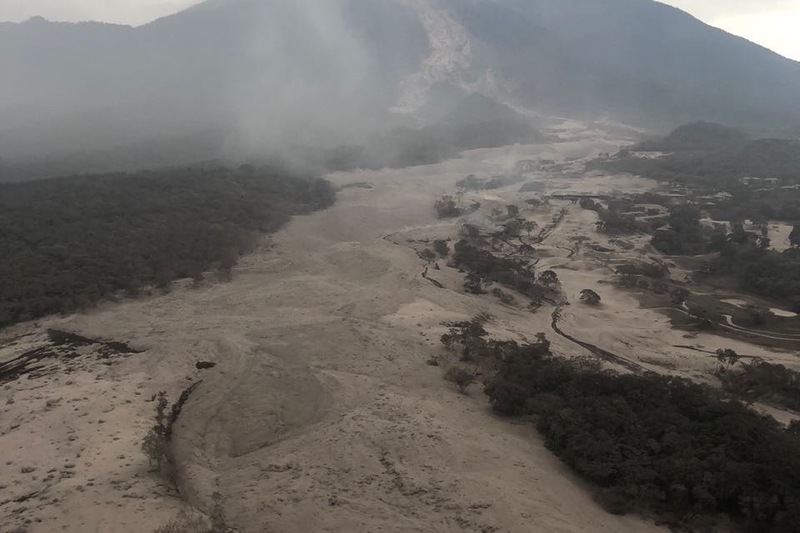 El Rodeo Village, which is at the skirts of the volcano has been completely buried under the lava flow, other villages were hard hit as well. Guatemala is the land of volcanos and an eruption of this magnitude has not been witnessed in my lifetime. The effects are catastrophic in nature and the rains in the coming days will add to the devastation. Your generosity is needed immediately. 1. Local Burn Centers to assist in medical needs. 2. 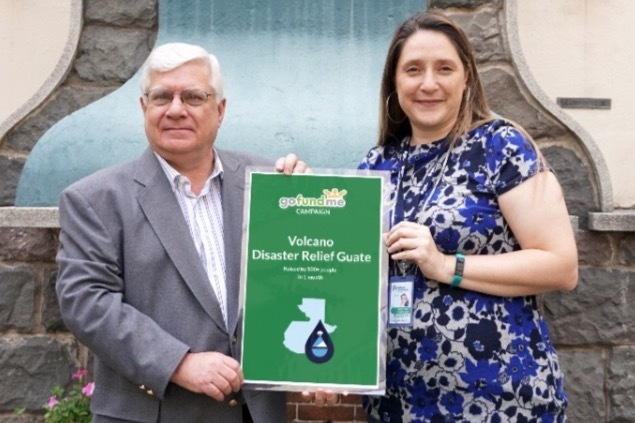 Local shelter to provide food, clothing, and water. I was previously scheduled to fly to Guatemala on Tuesday, June 5. The only thing that will delay me getting down there is if the airport is not open. Today I am buying latex gloves, sterile bandages and basic burn victim needs to take with me tomorrow. I, Lucia Cottone, guarantee the delivery of funds raised. Proof of transfer and delivery of funds will be posted. Giving with the clear intention of supporting the healing and growth of a community has amazing positive ripple effects for all involved. I HOPE YOU ARE ALL FEELING IT! 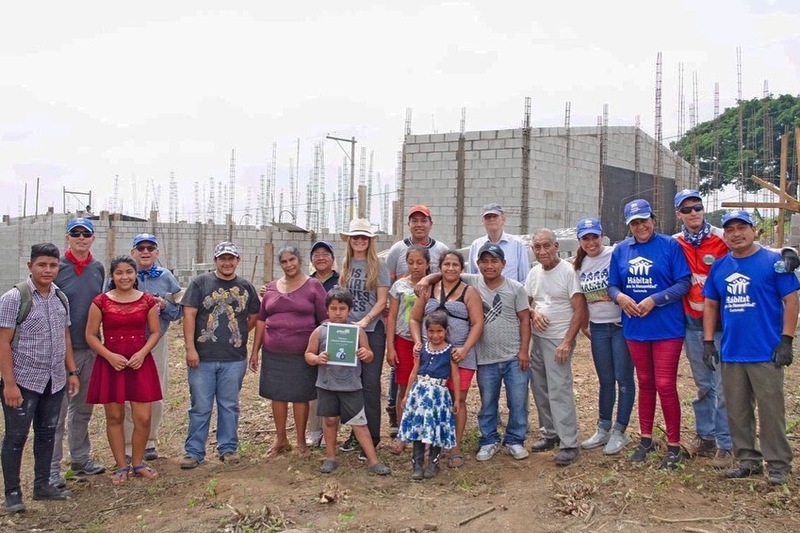 Had the immense pleasure of visiting the site in Palin, Escuintla where Habitat For Humanity Guatemala is hard at work. The families build along side the volunteers, dedicated staff and board of directors of this amazing local organization is inspiring beyond words. Block by block building a better future for the Guatemalan people. Construction is targeted to be completed by the end of November. Can you imagine in just one month the affected families will again have a place called home! 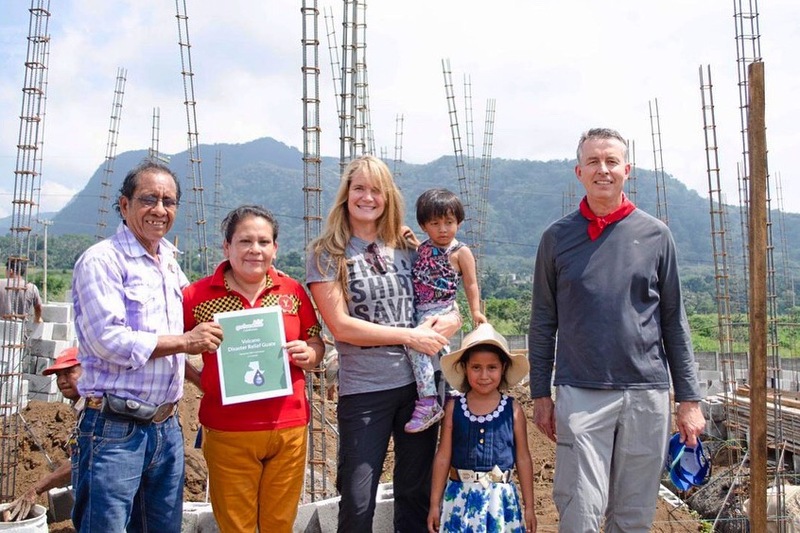 As previously shared Habitat for Humanity Guatemala was one of the recipients of the funds raised. Habitat International was founded in 1976 by Millard and Linda Fuller in the United States. 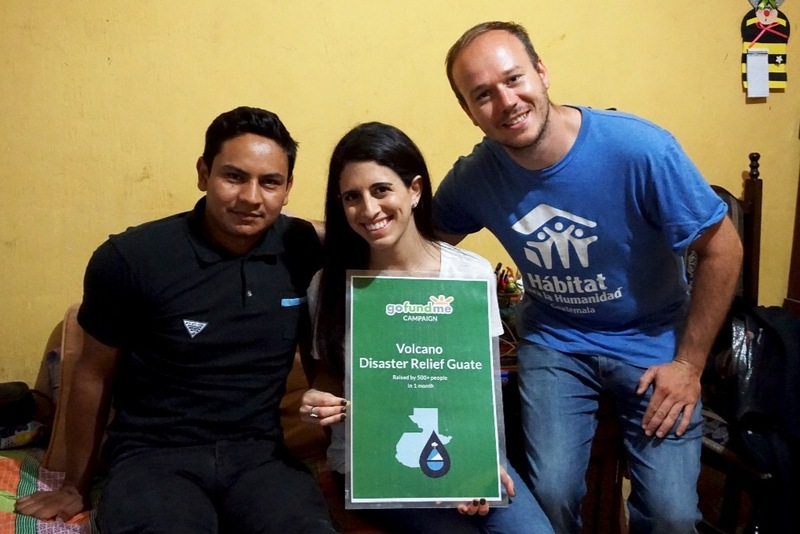 Guatemala was the first Habitat affiliate in Latin America in 1979 and they have been an exceptional organization ever since. As of 2017, they have contributed to the reduction of the Guatemalan housing deficit by 5.68%. A few months ago they reached their 100,000 housing solutions. Please check out the video below, note that this video was made for the amazing milestone they reached. 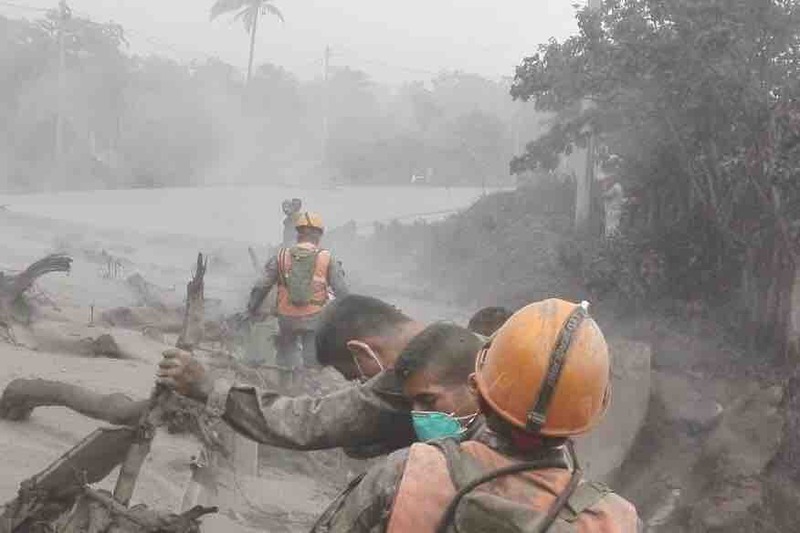 It is not footage as to the current work they are doing for the Volcano relief. Please be aware that this campaign is no longer accepting donations. However you will still get a few updates. Thank you for all your support! Hola hola! I am delighted to let you know that funds have been delivered to three local Guatemalan organizations. The first one being, Grupo Coban, who I have already shared their efforts in previous updates. 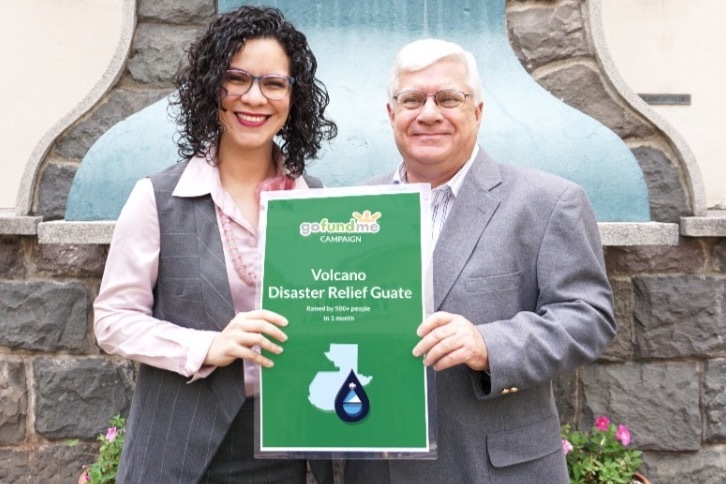 The following two organizations where selected due to their transparent and diligent efforts not only through this disaster relief but also because they have been of support to the Guatemalan community through decades of hard work. They are Habitat for Humanity Guatemala and Fundación Carlos F. Novella. In upcoming updates I will highlight each of these two foundations. GoFundMe only allows three photos per post, so in this update I am sharing images of the individuals (legal representatives) from each organization that funds were delivered to. Please notice the banner they are holding. It represents all of you! In the process of managing this campaign I became friends with a sister and brother team that also had their own GoFundMe campaign going. In relief efforts I believe that one should strive to be in intentional collaboration and not in competition mode. We embodied that spirit and supported each other in navigating this journey because it does take a village to accomplish all the behind the scene things that had to happen to ensure transparency. The sister in that team took it upon herself to create this banner image for us, and a friend of hers created the logo. Everything flourishes in authentic teamwork. Please look out for the next coupled of updates with more details. The process of moving the funds to Guatemala has started. After many conversation and research, I identified an organization that fits the full transparency value I was looking for. International Church Ministries, Inc. (ICM) is a non-profit organization who holds a 501(c)3 status in the US. They benefit Union Church of Guatemala in Guatemala City. Since 1986 one of their focuses has been supporting those serving in Guatemala and the Guatemalan community. They have facilitated the process of transferring funds in the past by charging a 3% processing fee. 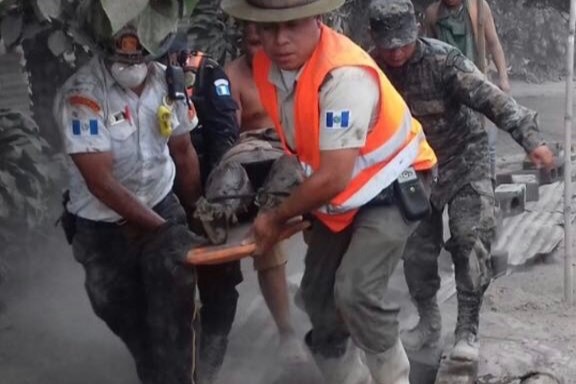 For the purposes of this disaster relief they have generously decided to make the transfer of funds from GoFundMe to the selected Guatemalan local foundations without charging us a fee. I am very grateful for their collaboration and support. The only fees our fund has incurred is the money that has to be paid to the credit card processing center, that fee is 2.9% + $.30 of each transaction. GoFundMe is a platform that functions from tips which each one of us had the option to participate in when we used our credit cards for the donation. GoFundMe is not making any money from our efforts. As I have shared in previous updates the executives at GoFundMe have been an intricate part of my detailed process and they continue to collaborate in an amazing manner. We all should feel incredibly proud as to what we accomplished as a group. Know that the fund is still open and accepting donations. Due to my commitment to transparency I will never touch the money. 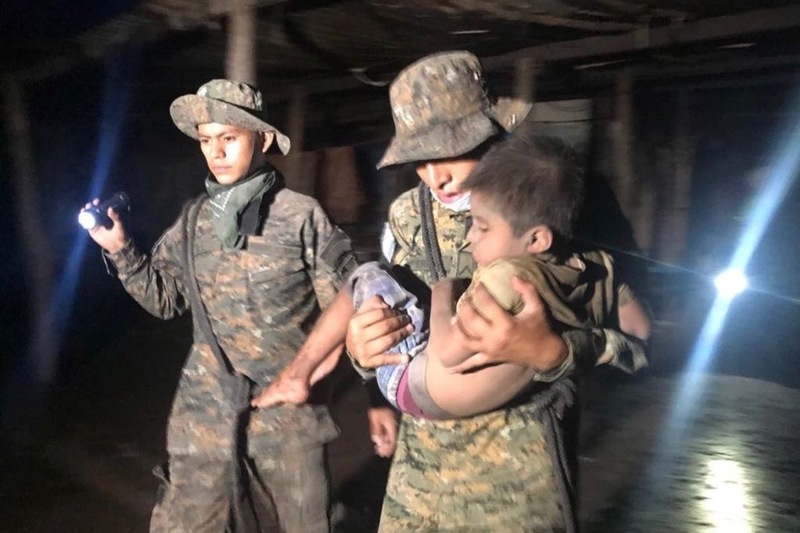 It is going from GoFundMe directly into the ICM bank account and checks will be made out in Guatemala’s local currency (Quetzales) directly to the assigned organizations. As I shared in the past the reason all this has taken time is because letters or understanding are drafted, reviewed and signed. Local organizations will provide letters as to how the funds will be implemented. I will share all that documentation once the process is finalized. 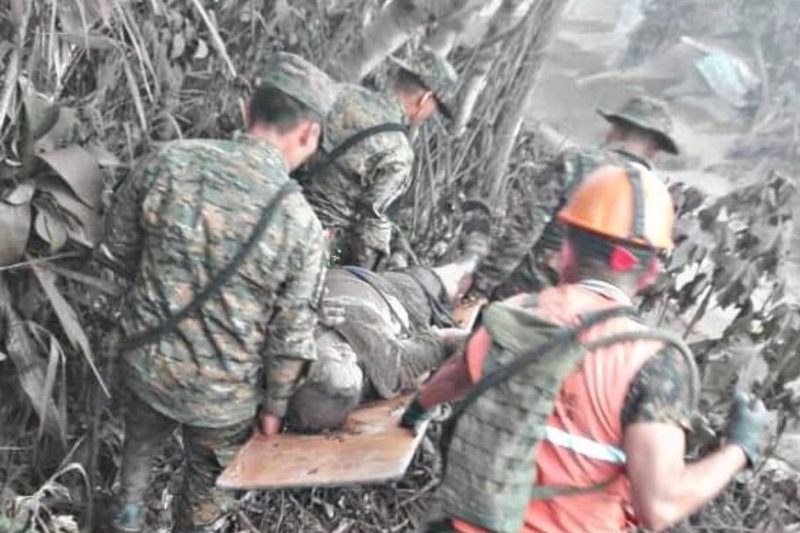 As I shared last week, some funds have already been allocated to Grupo Coban that have provided much needed work boots to those rescue works and volunteers in GROUND 0. I am diligently working on the paperwork for the other local foundations that will benefit from your generosity. We will be supporting housing and educational efforts. More details soon! Many of you took the time to write me notes of gratitude. I appreciate your encouragement and know that I strongly believe that together we all grow and I am so proud to be a citizen of this global village.